The Simons Center for Geometry and Physics has openings for several Research Assistant Professors (Postdocs) in the coming academic year in both mathematics and physics. The position is for a fixed term of three years with an expected start date of September 1, 2019. 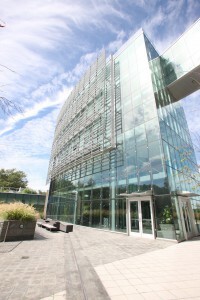 Stony Brook University’s Simons Center for Geometry and Physics is an endowed research organization devoted to furthering fundamental knowledge in geometry and theoretical physics, especially knowledge at the interface of these two disciplines. For more information about the Center, visit: SCGP – About and SCGP – Science. Physics – preference will be given to candidates who apply before November 30, 2018 however the positions will remain open until filled. Mathematics (including RTG) – preference will be given to candidates who apply before December 15, 2018 however the positions will remain open until filled.